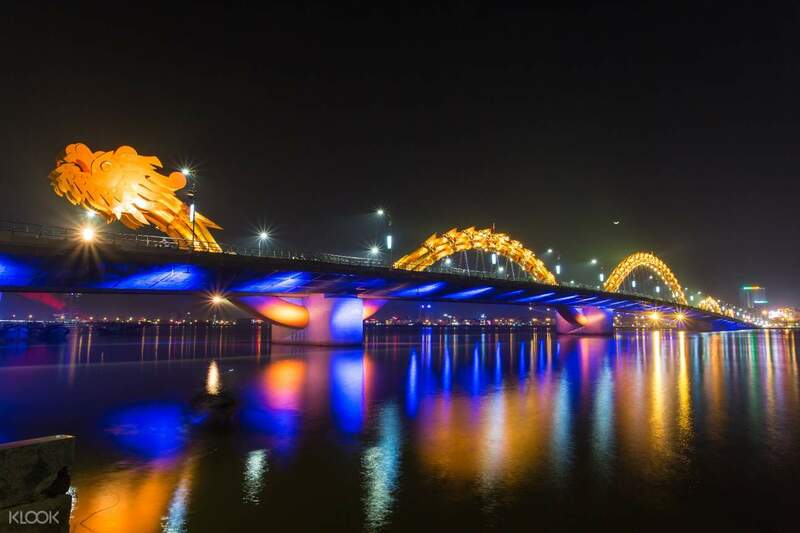 Visit Da Nang and Hoi An and see its amazing tourist attractions and gorgeous beaches! Get a magnificent view of the city when you ride Vietnam's first ever open top double decker bus! Mark your adventures – enjoy three tour routes with either a One Day or Two Day Pass! Highly Recommended! Had a wonderful experience roaming around the city of Da nang with this hop on hop off bus. Tour Da Nang at your own pace with this hop on hop off double-decker bus pass! Get to plan your own itinerary with their extensive bus stops and flexible schedules. Enjoy discovering top Vietnamese destinations by exploring the Da Nang city, Hoi An city, and Beach Tour routes! Discover the coastal city's past as a French colonial port through their well-preserved military settlements, and get to see the progress the city has made with its gorgeous seaside resorts and urban developments. 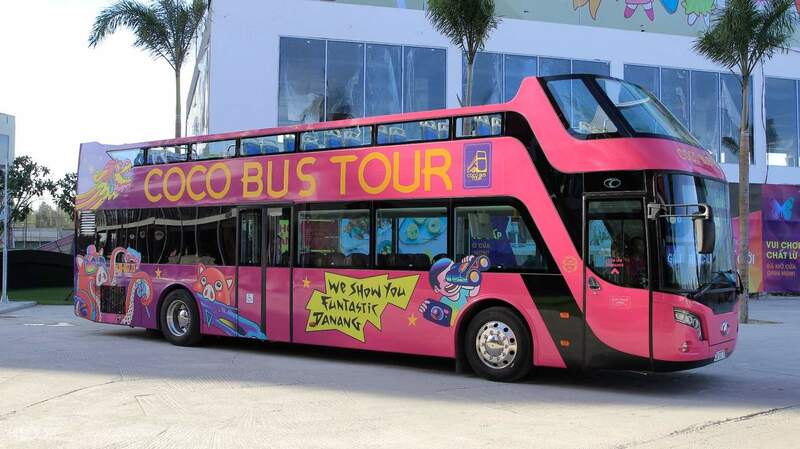 Hop off at any of their 50 designated bus stops across the island with a bus pass that allows you to hop back in at any purple Coco Bus you'll see. Just choose a bus pass package that suits your planned itinerary best, and get going to any tourist spot you've been wanting to see. Once on the road, make sure to ride the open top of of the bus to get a panoramic view of the town. See local life in motion as you bask in the sun of Da Nang. Book now to experience a stress-free Da Nang adventure! Enjoy comfort and convenience as you travel Da Nang with the hop on hop off double decker bus pass! See the entire Da Nang City when you ride this double decker bus's open top section! 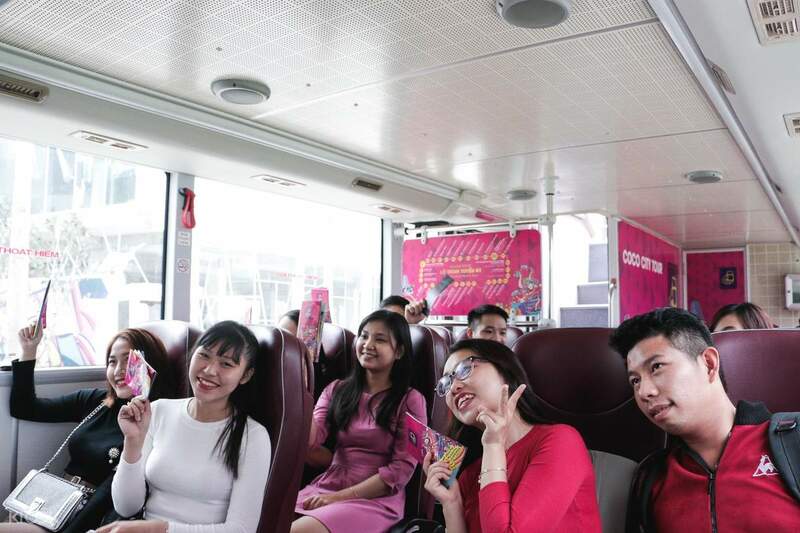 Catch a glimpse of the coastal town's urban landscape from inside this modern air-conditioned double-decker bus! 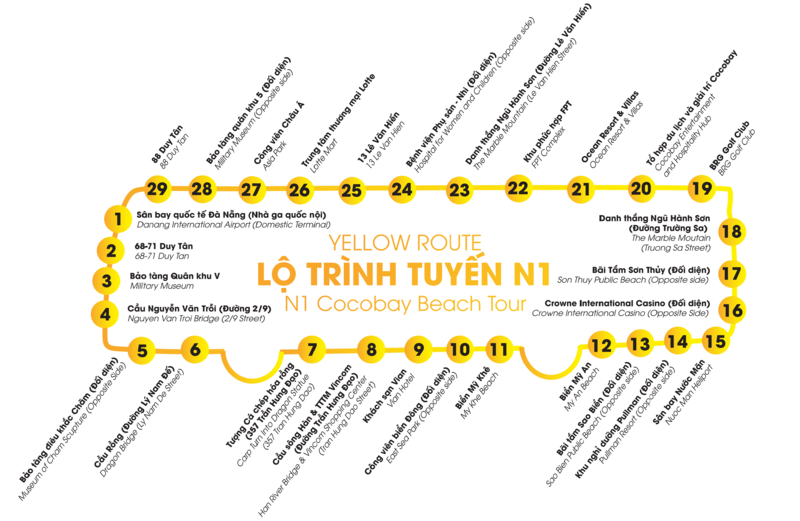 It is a good experience to discover Da Nang with cocobus. It covers almost all the must see or must go spots in Da Nang. Furthermore, the staffs are all friendly. They might know little English but they trying so hard to communicate with you and tell you something that you will never get to know about Da Nang. 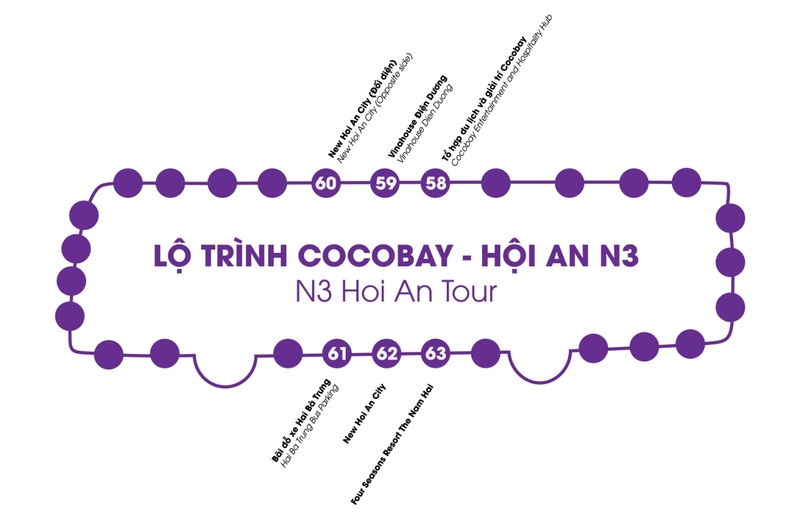 It is a good experience to discover Da Nang with cocobus. It covers almost all the must see or must go spots in Da Nang. Furthermore, the staffs are all friendly. They might know little English but they trying so hard to communicate with you and tell you something that you will never get to know about Da Nang. New and fun way of visiting the extraordinary and major tourist destinations in Da Nang. Booked 2-day ticket with my friends and we really enjoyed travelling in Da Nang. Coco Bus attendants were also nice and awesome. New and fun way of visiting the extraordinary and major tourist destinations in Da Nang. Booked 2-day ticket with my friends and we really enjoyed travelling in Da Nang. Coco Bus attendants were also nice and awesome. Very satisfied with CocoBus HopOn HopOff service. The staffs attention are excellent. They takes time and hands on, to make sure you go to the right direction. If they have the chance, they even will go down from the bus and direct you. Or if they couldn't they literally hand you into another collague that can. Both drivers and passagers assistant are very good on their task. Thiat is one of these outstanding staff. The routes also very comprehensive, which are very handy. Their bus stops and buses are very colourful and clean; make it easy to spot and feel comfortable. Their timetables can be downloaded online. we are very satisfied with their service. tips: when board the bus usually you are asked which stop you want to go. But if not, make sure you tell the driver or the assistant, as sometimes when there's event in the DaNang city, the stops can be closed. Very satisfied with CocoBus HopOn HopOff service. The staffs attention are excellent. They takes time and hands on, to make sure you go to the right direction. If they have the chance, they even will go down from the bus and direct you. Or if they couldn't they literally hand you into another collague that can. Both drivers and passagers assistant are very good on their task. Thiat is one of these outstanding staff. The routes also very comprehensive, which are very handy. Their bus stops and buses are very colourful and clean; make it easy to spot and feel comfortable. Their timetables can be downloaded online. we are very satisfied with their service. tips: when board the bus usually you are asked which stop you want to go. But if not, make sure you tell the driver or the assistant, as sometimes when there's event in the DaNang city, the stops can be closed. Great way to get an idea what the city looks like, the price is very affordable plus they stop to drop and pick up at the airport. Downside, there’s no tour guide and voice over recordings to hear through headsets like other hop on buses in other countries. Overall, it’s still value for money. Great way to get an idea what the city looks like, the price is very affordable plus they stop to drop and pick up at the airport. Downside, there’s no tour guide and voice over recordings to hear through headsets like other hop on buses in other countries. Overall, it’s still value for money. Saw some negative comments here and we're a bit worried, but turnes out we didn't have to wait long for the Cocobus to come. It is so easy to do the redemption, just show the mobile vouchers to the bus driver's assistant and they'll handle it from there and give you a physical pass. However, it is a bit challenging to spot the bus stops as some of the station do not have a proper bus station, just a stop by the roadside with no signs. Saw some negative comments here and we're a bit worried, but turnes out we didn't have to wait long for the Cocobus to come. It is so easy to do the redemption, just show the mobile vouchers to the bus driver's assistant and they'll handle it from there and give you a physical pass. However, it is a bit challenging to spot the bus stops as some of the station do not have a proper bus station, just a stop by the roadside with no signs. Bang for the buck! Highly recommended. You can visit many places in a day. Make sure to plan your trip ahead of time. Bang for the buck! Highly recommended. You can visit many places in a day. Make sure to plan your trip ahead of time. This is bus tour is good, especially for this price. Although there is someone on the bus asking where you are going it would help if the text was also in English saying what the next stop is, one of the girls forgot my stop when going back to the hotel and I ended up walking quite a bit. But most of the times they remembered where people wanted to go. The tour takes you to all important places close to and in Danang. I visited among other places the Son Tra pagoda, Marble mountains and I also went to Hoi An with the tour. I had tickets for two days, otherwise you won’t make it to all places of interested. Great value bus tour! This is bus tour is good, especially for this price. Although there is someone on the bus asking where you are going it would help if the text was also in English saying what the next stop is, one of the girls forgot my stop when going back to the hotel and I ended up walking quite a bit. But most of the times they remembered where people wanted to go. The tour takes you to all important places close to and in Danang. I visited among other places the Son Tra pagoda, Marble mountains and I also went to Hoi An with the tour. I had tickets for two days, otherwise you won’t make it to all places of interested. Great value bus tour! is difficult for a foreigner, like me to explore where is the bus station to reach the cocobus .. but luckily I am able to get the local people to show me. this is good to have a round trip around Da Nang city, but would need a proper planning to suit to the bus schedule else wasting the time to wait for the bus. besides, the bus driver and staff are very friendly persons. is difficult for a foreigner, like me to explore where is the bus station to reach the cocobus .. but luckily I am able to get the local people to show me. 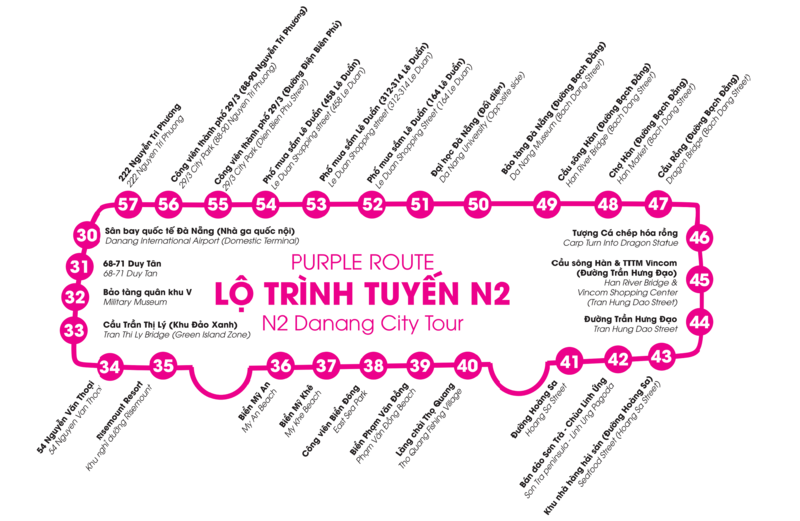 this is good to have a round trip around Da Nang city, but would need a proper planning to suit to the bus schedule else wasting the time to wait for the bus. besides, the bus driver and staff are very friendly persons.